There’s no stopping the force of Mother Nature. Whatever way we slice it, we can’t prevent hurricanes, tornadoes, earthquakes and floods from trying to bring down the buildings we put up. However, architects and engineers have for decades attempted to find ways to counter nature. There are structures all over the world that stand testament to this, with specialised engineering features to protect them from destruction. Here we outline our top 10 disaster-proof structures in the world. Salt Lake City lies on a fault line leaving it prone to major earthquakes. For years, scientists have been predicting that the city could be the victim of ‘the big one’, a potential 7+ magnitude earthquake that could prove devastating to the city. 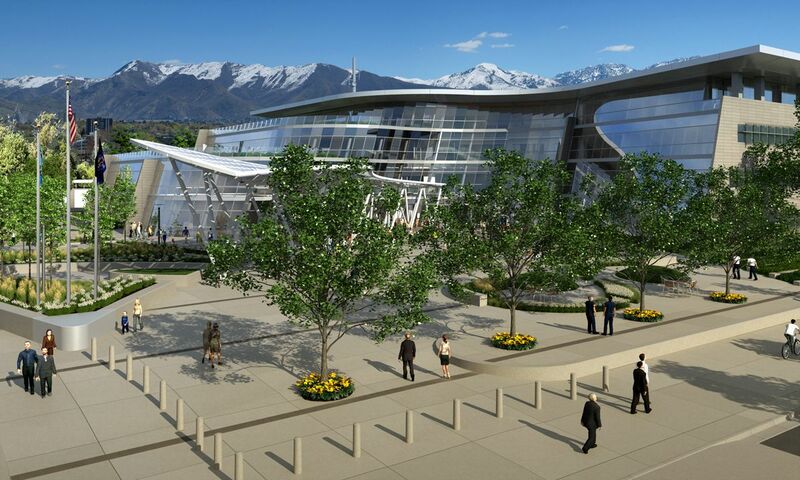 Built to withstand the most enormous earthquakes, not only will the Public Safety Building survive a 7.5 magnitude earthquake, but will remain functional afterwards without any damage. Large concrete blocks called dampers, usually used in skyscrapers, have been incorporated into the design of the building to protect it. Ever wondered what would happen to all the crops and plants of the Earth in the event of a global disaster? On the small Norwegian island of Spitsbergen you can find The Doomsday Seed Vault, an underground bunker that stores all of the genetic codes for the essential crops needed if humanity is to ever face a world-wide disaster. It was completed and opened in 2008. It’s situated on Spitsbergen because of the naturally cold conditions suitable for storage. Interestingly, Norway provided 100 percent of the funding to construct the vault. The structure is built from steel and reinforced concrete, which is so strong that it can withstand nuclear strikes, and it has already survived a 6.2 earthquake. Also, the vault has been designed for longevity, built to outlive even the Great Pyramid of Giza. Shanghai is home to extremely strong winds due to its location in eastern China, which is prone to hurricanes and flooding. In 2012, Typhoon Haikui hit eastern China, knocking out power and severely disrupting transport. Architects have made the Shanghai Tower extra tough for any potential hurricanes. The building measures 2,073 feet tall and its twisting structure reduces the impact of strong winds by 24 percent, which keeps the building upright. This is even more impressive when considering that the Shanghai Tower is built with 25 percent less steel than skyscrapers of a similar size. Mexico is no stranger to earthquakes. They have struck at various times over the centuries and the most recent one was the 2014 Guerrero Earthquake, which was 7.2 in magnitude. When the Torre Mayor was completed back in 2003, this colossal building was the tallest building in Latin America. The 738-feet office tower is one of the most earthquake-proof structures on the planet, as it can withstand a quake of 8.5 on the Richter scale. In 2003, the area was hit by a 7.6 earthquake and the building was unaffected and even more impressively, the workers inside reportedly didn’t even feel the tremors. Spaulding Rehabilitation Hospital is vulnerable to flooding due to being close to the Boston Navy Yard. The floor sits behind several landscape and granite berms, which are a raised level of space that can deflect flooding. The hospital floor was also built 30 inches above the 500-year flood elevation mark. Thus, even if water was to come through, the upper floors would be able to function properly. So, the hospital is well prepared for any floods as it won’t be seriously damaged. Steel and concrete are the go-to materials for building structures, but there is one material that has helped maintain the Chinese Temples. This is sticky rice, which has been a part of the Chinese diet and culture for centuries, and has been the unlikely key to ensuring the longevity of their temples. Although these temples were built thousands of years ago, they have managed to survive numerous earthquakes. This is a result of heated lime and sticky rice used as mortar, which has proven to dramatically increase the strength of the structures. Earthquakes are a part of China’s history and they have claimed many lives and caused huge devastation. Most recently, the 2014 Ludian Earthquake killed over 600 people. Beijing’s CCTV Building was completed in 2008 and can hold out against an 8.0 level earthquake. The building’s radical shape puts great pressure on the structure from gravity, but the external diagrid helps reduce the strain, increasing its strength and keeping the building standing upright. The One World Trade Centre was designed in its current form to be prepared for any potential terrorist attacks. The tower’s façade consists of steel panels and blast-resistant glass, and the structure is also resistant to other ground-level attacks. It is the tallest building in the Western Hemisphere and sixth tallest building in the world. It’s made from incredibly durable concrete to preserve the structure in the face of the most powerful winds. It was only completed in 2015, designed by David Childs, whose architectural firm were also responsible for the design of the Burj Khalifa. Even though Miami, Florida is a place known for sun and sand, it’s an area highly vulnerable to hurricanes. In fact, Miami has a 16 per cent chance of experiencing a hurricane in any given year. So, it’s necessary to always build hurricane-proof structures in the city. 1450 Brickell is an all-office skyscraper and the entire 35 story building features large-missile resistant glass, allowing it to withstand winds of up to 300mph. 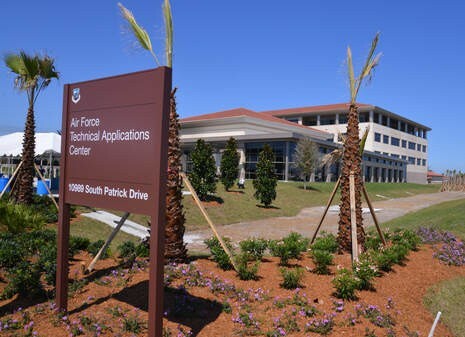 The military facility Airforce Technical Applications Centre is based at Patrick Air Force, USA. It’s an air force surveillance centre and its mission is to detect nuclear detonations anywhere in the world. With such an important function, it was necessary for the building to be extremely strong. Built in 2014, it has a steel framework and a concrete exterior, as well as eight-inch thick walls. The building can withstand a category 3 hurricane and the whole structure sits about a foot off the ground to prevent flooding in case of a hurricane. From tectonic shifts to high winds, some buildings are built to not just stand the test of time, but to survive any disasters that may occur along the way too. These structures are all works of impressive, dedicated engineering set to withstand some of the deadliest catastrophes that could come their way. If you are interested in discussing any hiring plans or opportunities for Engineering professionals, please contact our Construction and Engineering team today. This entry was posted on Friday, February 24th 2017 and is filed under Construction & Engineering. You can subscribe to our RSS 2.0 news feed here.